Feldspar offered by our company is a natural and pure chemical compound, which is used extensively in porcelain manufacturing units. Feldspar, which is a naturally occurring anhydrous, inorganic, igneous rock, is a complex of aluminum silicate containing varying amounts of sodium, potassium, and calcium. We are offering an exclusive range of Sodium Feldspar. Being one of the largest manufacturer, supplier and exporter of minerals and ore products, we are offering an exclusive range of Sodium Feldspar. Our range is found from intrusive as well as extrusive rocks igneous in nature. 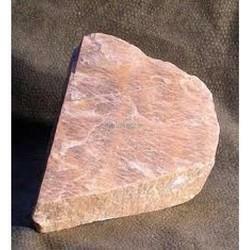 We are supplier of best grade sodium feldspar which is prepared by grinding raw materials from our own mines. 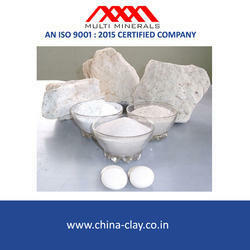 We provide soda feldspar with Na2O range fron 8 to 11 % Na2O and whiteness range from 45 to 70. Our material exhibits very low Fe2O3 and TiO2 contents thus resulting in very high whiteness. We are actively engaged in offering a qualitative range of Sodium Feldspar Powder for catering the diversified requirements of our clients.